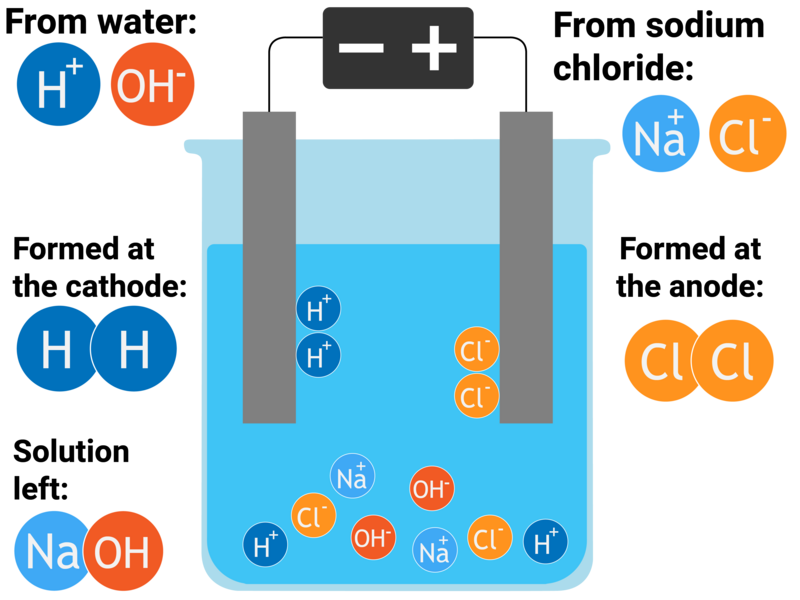 During electrolysis of solution there are other ions present (H+ and OH-). 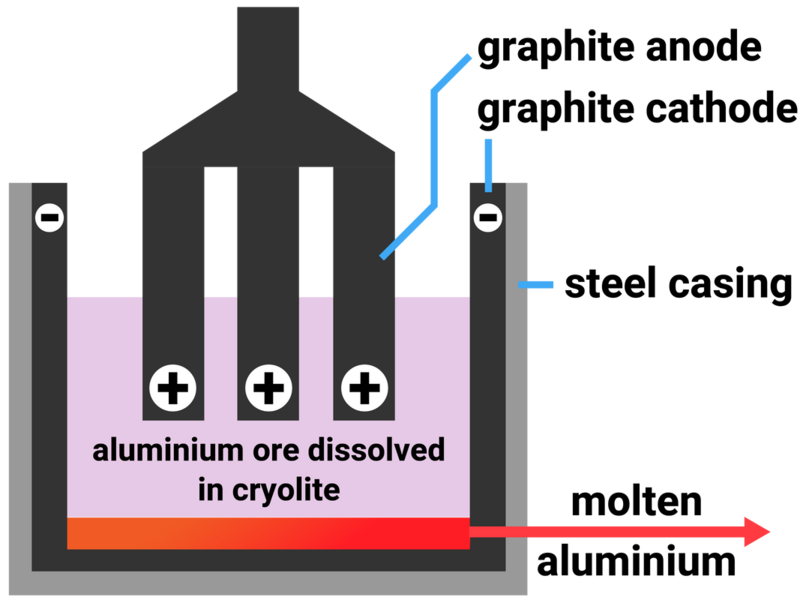 Working out what is made at each electrode requires you know the rules of electrolysis. In the table below, we can see which products are formed for some example solutions. 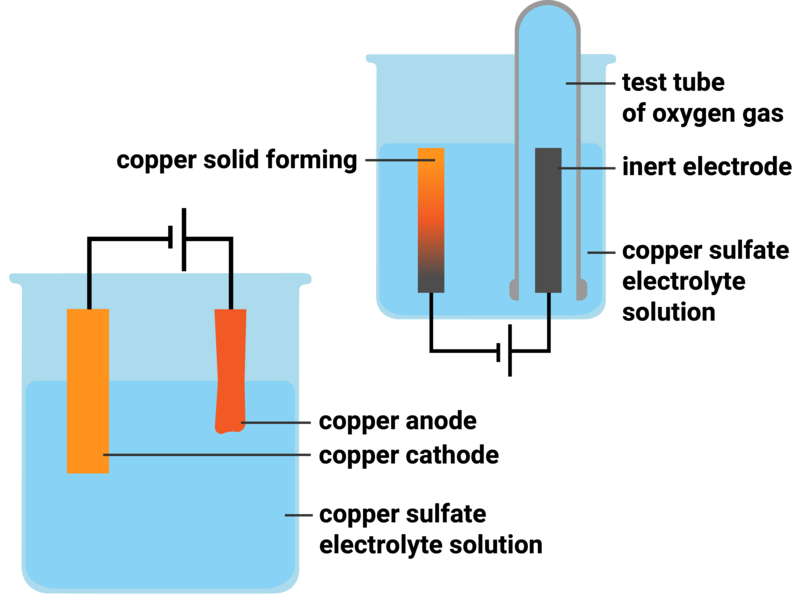 The carbon electrodes must be continually replaced as they react with the oxygen produced from electrolysis (making carbon dioxide).